Check out this amazing collection of custom Big Rigs! Interested in driving one of these awesome trucks? Apply to Progressive Truck Driving School. 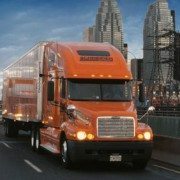 What is a Schneider driver? From our friends at Schneider Trucking: Are you considering Schneider for your career after driving school? It can be hard to sift through all the different perspectives, but nobody can explain what it’s like to be a Schneider driver better than an actual Schneider driver. Read below as Schneider Team driver Sharon Nader gives her perspective. Safety Officer: A driver’s first job is safety. We represent the ability to deliver freight safely and in a timely manner while following the DOT’s rules. You are always a safety representative of Schneider and our industry, even at home. Many people are worried that the new rules will hurt their ability to deliver freight. I disagree. In my opinion, the new rules force everyone to deal with what is possible — be advocates for safety on our highways. Drivers are the most important component of success. It can’t happen without safe drivers! Driver compliance, safe equipment and technology will keep Schneider on the top of the list of preferred carriers. Customer Service Officer: Customer service is everyone’s goal. Schneider wants the shipper and the consignee to be happy with their performance. It’s just good sense and job security to want the customer to book freight repeatedly with Schneider. There is a great need to communicate equipment, routing and shipping issues or problems. Keep in mind that we are humans, and being polite – even when hot and tired – is also a part of the job. You want your load to be safe, legal and damage-free. It can make or break business for our employer, our customers and even ourselves. Every time a problem is identified and you take the time to correct it or communicate it to the customer and Schneider, you are a customer service representative! Whether you are a good representative or a bad one is a choice you make on a daily basis. Billing Agent: A driver who completes business by submitting paperwork helps Schneider get paid in a timely manner and ensures that the flow of business – and your pay – is uninterrupted. Accuracy is vital to the completion of a transaction. Knowledge of the business system will only improve your scorecard and get you more miles. It pays to know the system. Drivers are billing agents every time they complete a load and get that Transflo receipt! Recruitment Officer: Here is an area that I need to improve. Did you ever have someone ask you a question about Schneider while you are cleaning your windshield or in the middle of fueling? It’s one of those “I could have had a V8!” moments! I can’t tell you how many times I have been approached and was never ready to answer the questions that were put to me. Sometimes I want to go find the person after they leave and complete the conversation. Here are a few things I would tell them: First, I can’t imagine working for another company. Hauling freight is hard work and it can be dangerous. I want to work for Schneider because of its commitment to safety and for helping me be safer. Secondly, I would say that Schneider’s technology has greatly improved and is continuing to get better to make my job more productive and safer. I think Schneider has the best of the best technology available. Finally, I would say that Schneider’s equipment, especially trailers, has never been better. We have updated most of our equipment and more is on the way. From what I have seen, Schneider is concerned about driver satisfaction and they don’t just look at pay, they are trying to stay on top of all areas of business. Find out for yourself why drivers have chosen Schneider for 80 years, explore all your opportunities and apply at schneiderjobs.com. https://cdltruck.com/wp-content/uploads/2015/02/schneider-driver.jpg 282 560 Lucy Kokor https://cdltruck.com/wp-content/uploads/2014/08/Progressive-Truck-School-Blue-Mid.png Lucy Kokor2015-02-13 14:21:542015-02-13 14:24:26What is a Schneider driver? Take a moment to think about your current health status. Are you as healthy as you’d like to be? Could you improve your diet and exercise habits? Is it time to perform a little preventive maintenance? Everyone knows they should eat healthy, but it’s not easy. Fortunately, truck stop restaurants are starting to offer more healthy options, so go out of your way to choose them. You can also pick out some healthy snacks to bring with you on the road, stay hydrated by drinking more water and set up an accountability system with someone to report on what you’ve been eating. Exercise doesn’t have to be an impossible task. Instead of exercising for a solid hour or setting unrealistic expectations, exercise throughout the day. Spend five minutes stretching before hopping in the driver’s seat, do some pushups during your 30-minute HOS break and squeeze in a quick workout while you’re being loaded/unloaded. Did you know that walking around the truck and 53-foot trailer 32 times equals one mile? Changing schedules and strange hours can be tough to get used to, but as you plan your trip, prepare some designated time for sleep. If sleep apnea is or could be an issue, get it checked out — now. Truck driving can be stressful, with deadlines looming and time away from home, but there are all kinds of ways to tackle that stress. First of all, if you need help, don’t be afraid to ask for it. You don’t have to go it alone. Some of the best ways to handle stress are by addressing some of the other items on this list. If you’re getting better sleep and eating healthier, you’ll feel better. Lastly, focus on what you can control, not things you can’t (like other motorists). It’s an easy concept: Stop smoking and be healthier. Of course, for smokers, there’s nothing easy about quitting. Fortunately, there are many different methods out there for conquering the habit. Schneider offers a tobacco cessation program available to drivers enrolled in the company medical plan. If you haven’t quit yet, find a way. This post is compliments of our friends at Schneider Trucking. Schneider understands that driver health directly affects performance and happiness, which is why they provide tools to help drivers stay healthy and improve their health. Learn more about Schneider’s commitment to driver health and apply to join the team by visiting schneiderjobs.com or calling 800-44-PRIDE.